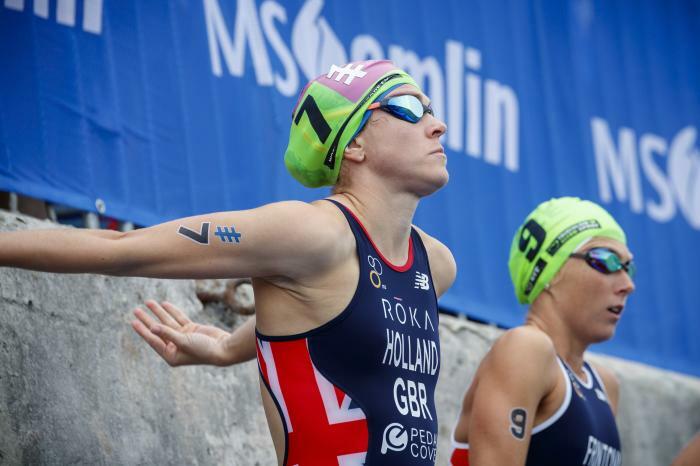 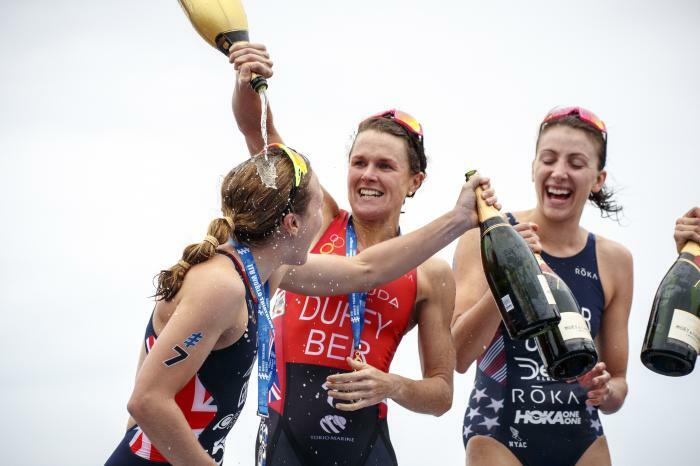 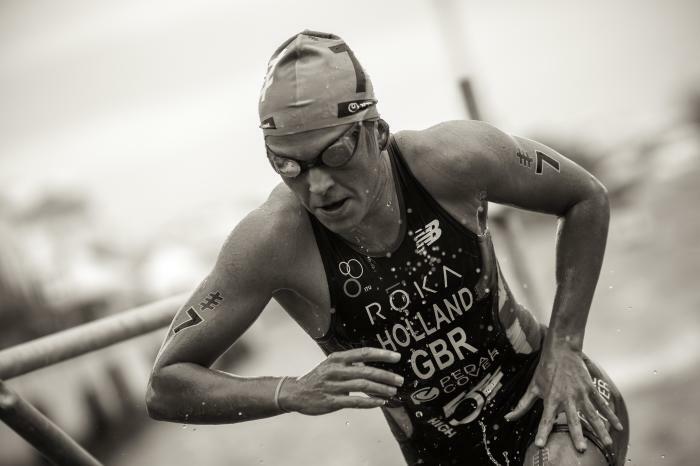 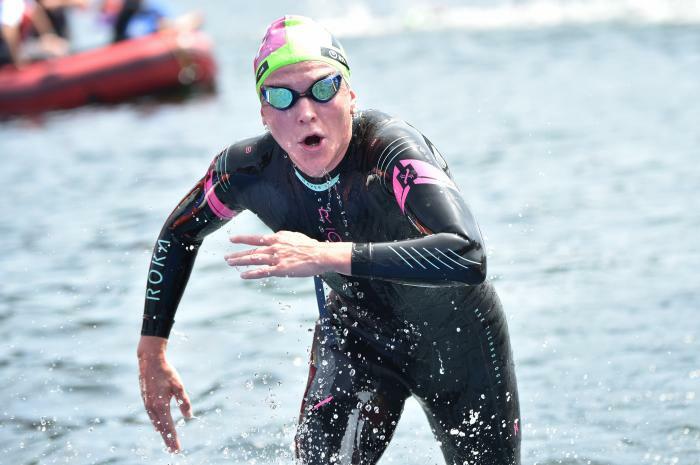 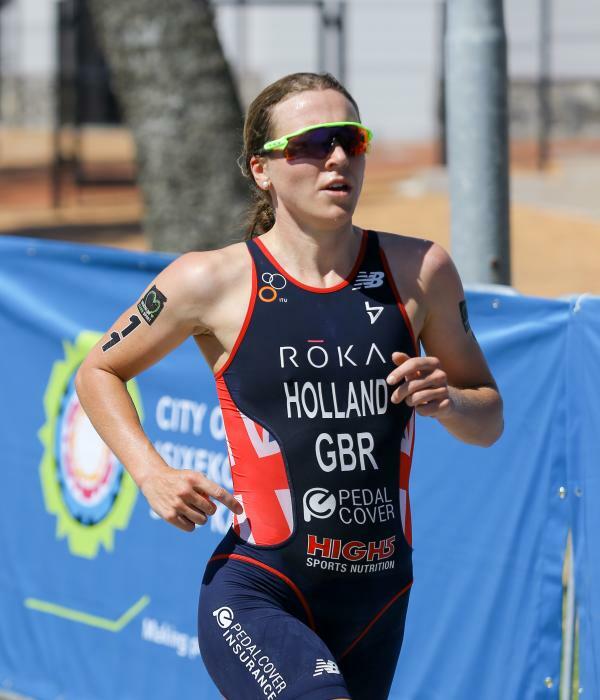 After competing at swimming and running for a number of years, Vicky Holland discovered triathlon at Loughborough University in 2005. 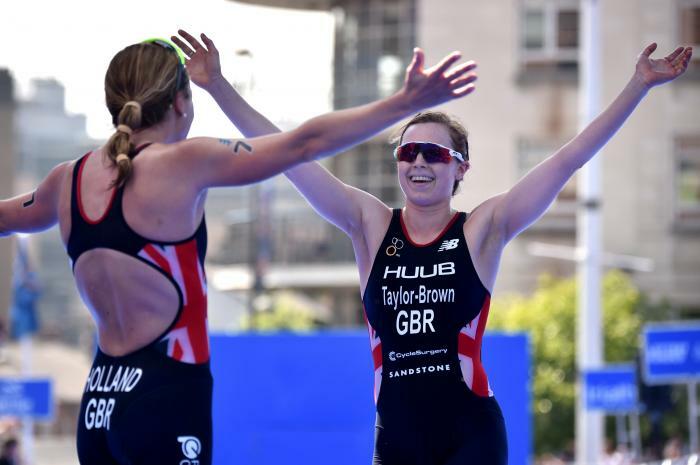 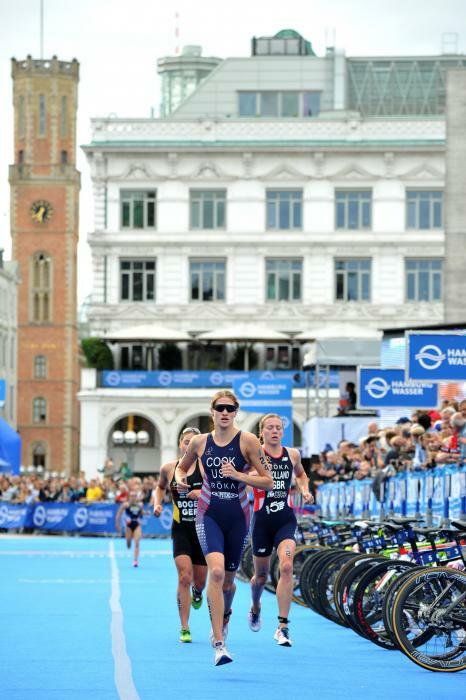 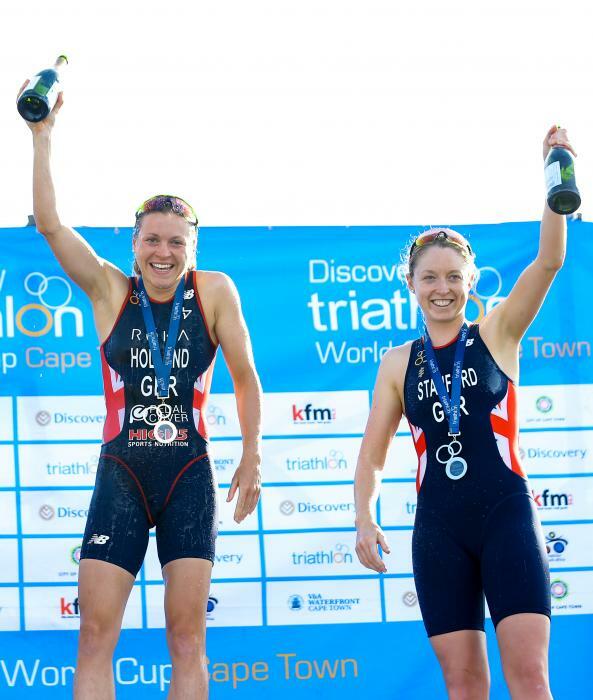 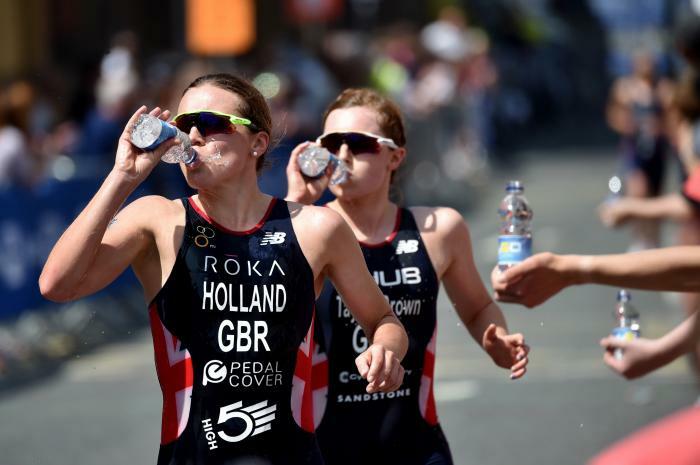 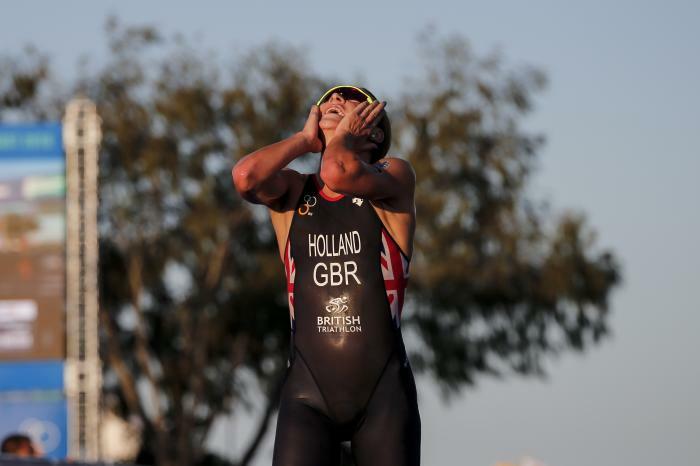 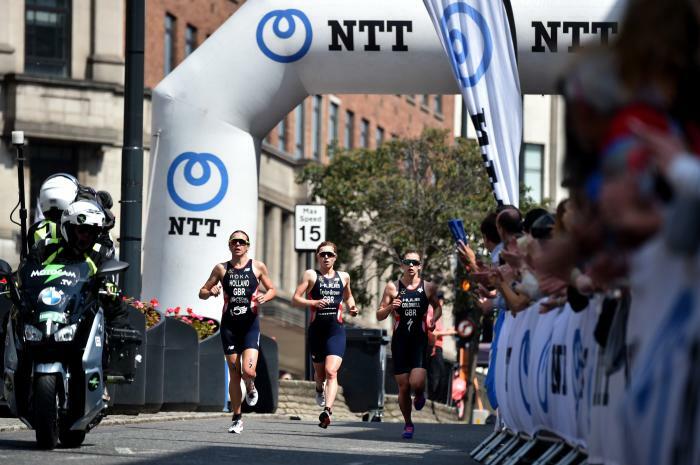 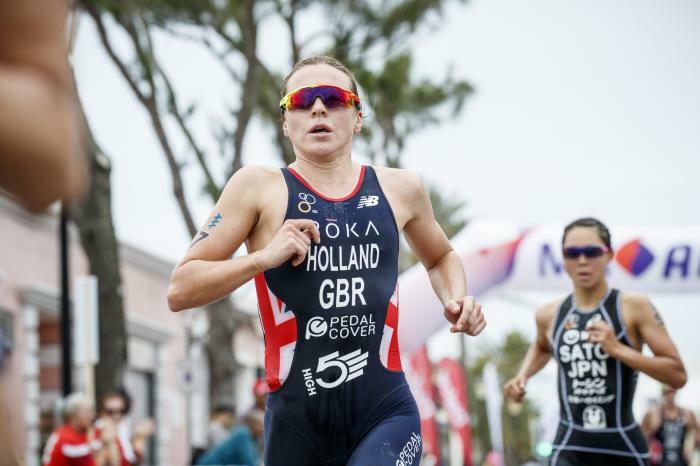 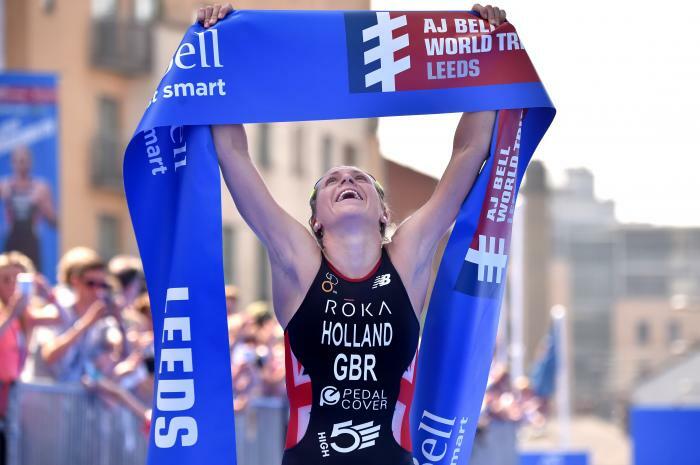 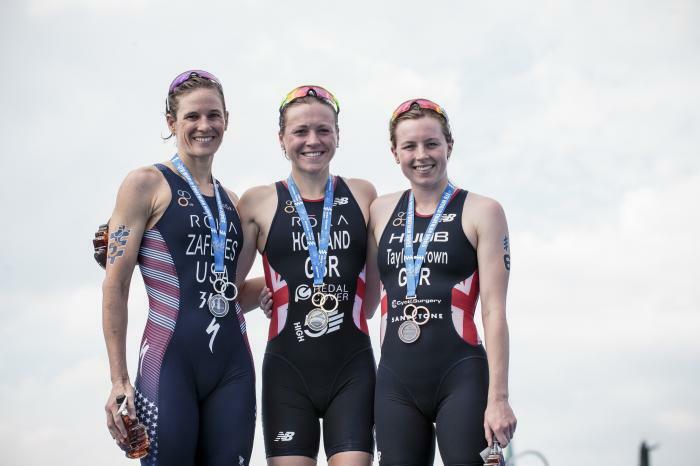 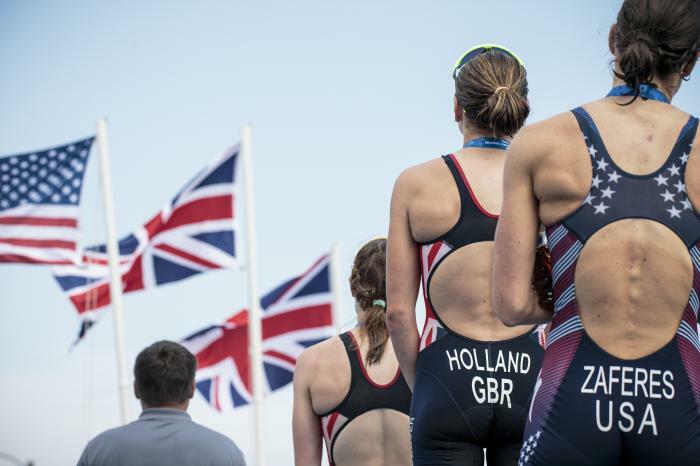 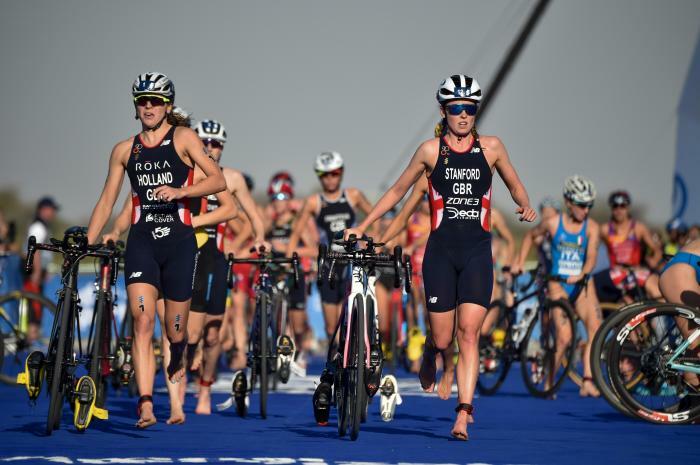 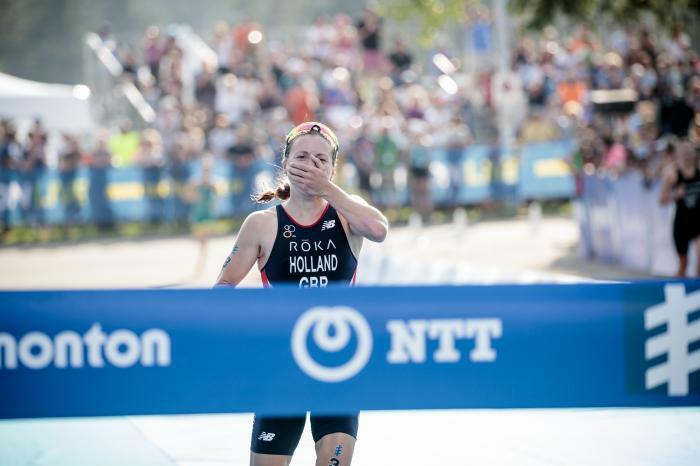 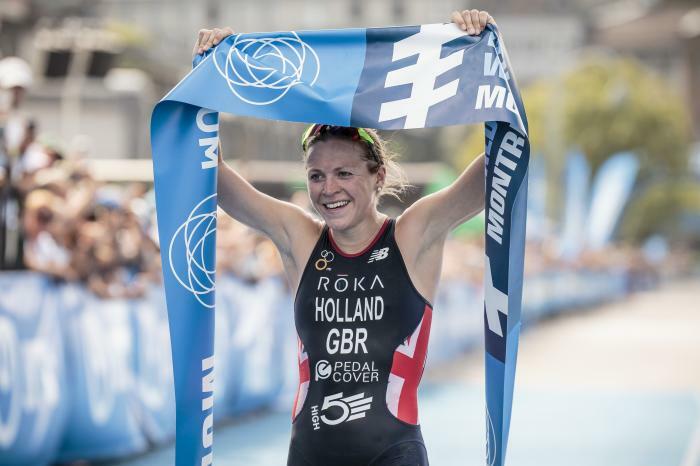 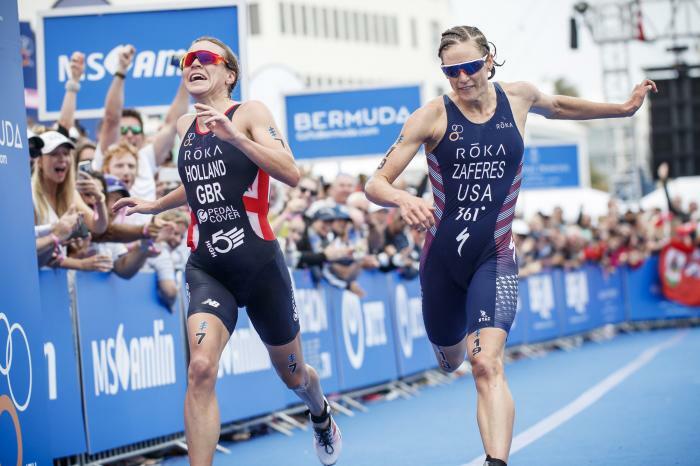 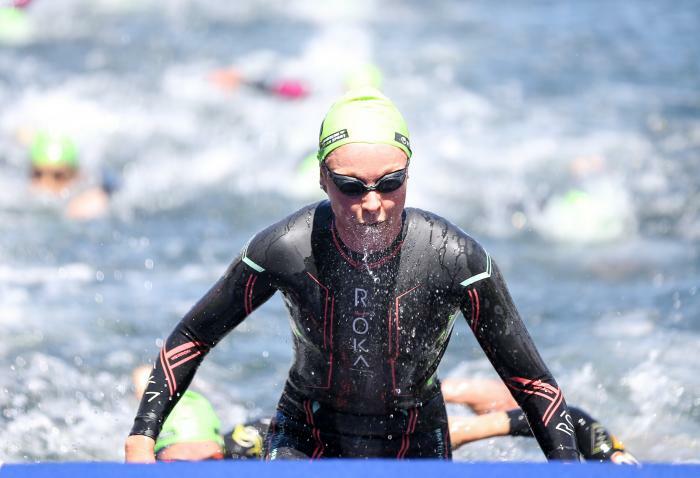 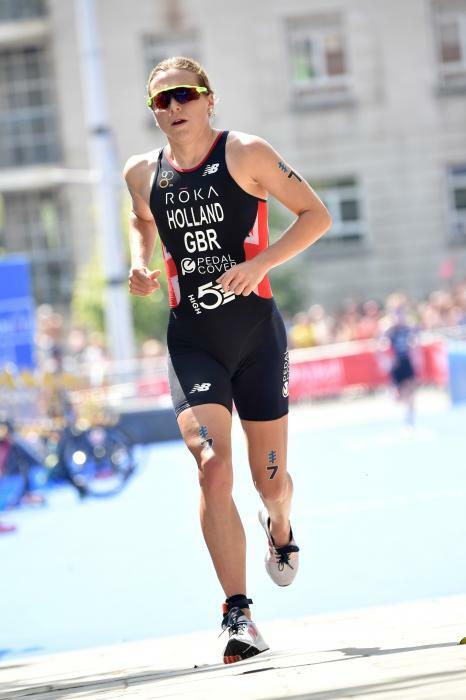 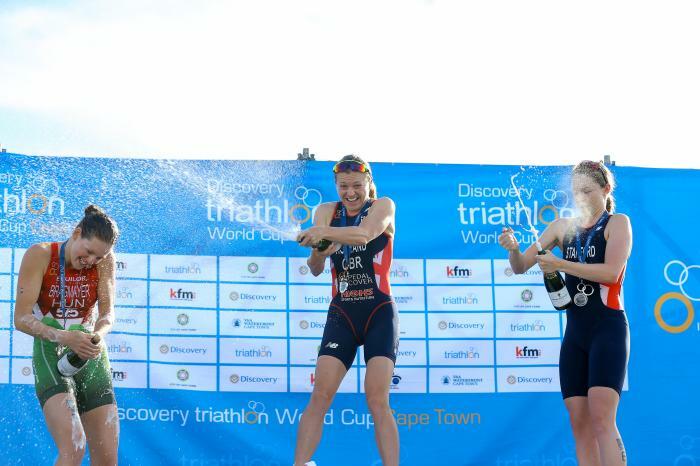 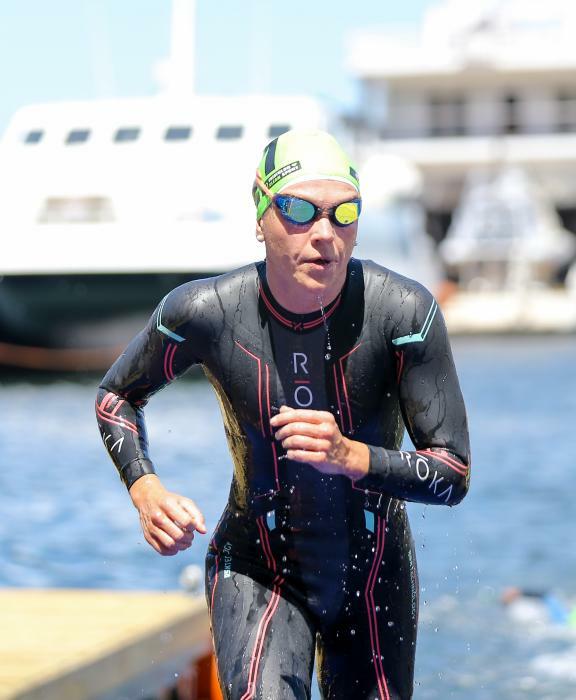 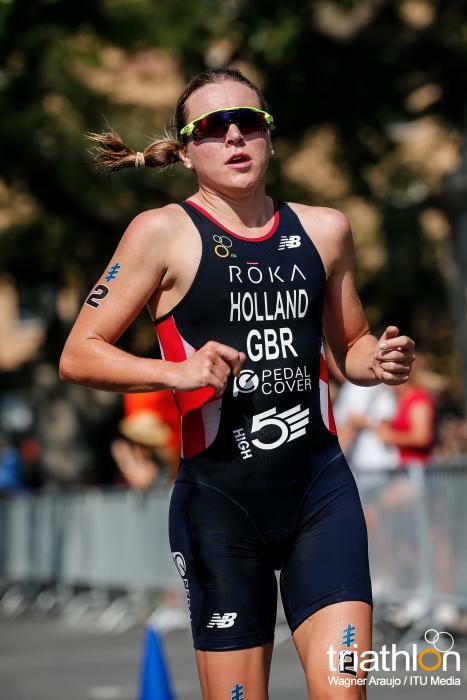 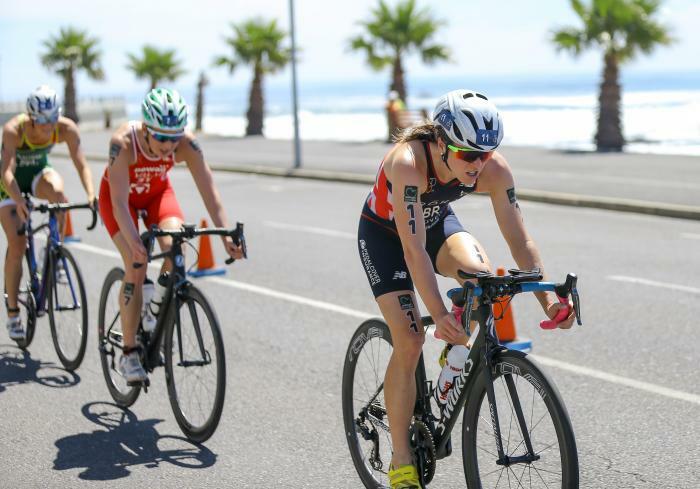 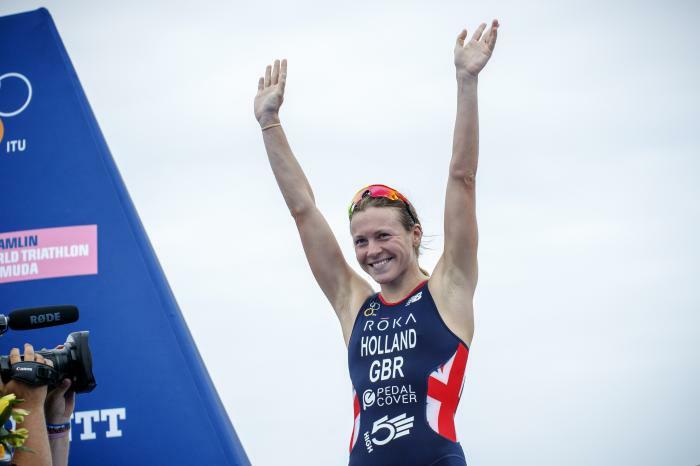 That same year she competed at the Junior Triathlon World Championships in Gamagori and in 2012 and 2014 she had already earned two World titles as part of the Team GB Mixed Relay squad. 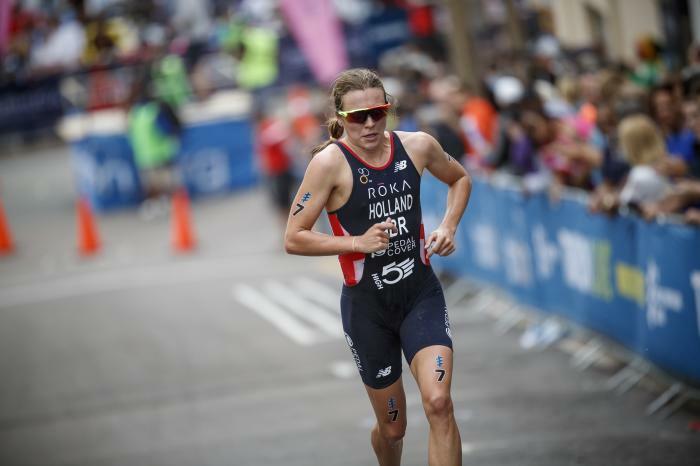 Holland’s first major individual medal also came in 2014 with bronze at the Commonwealth Games, and a year later Holland would top a World Series podium for the first time in Cape Town, finishing fourth overall. 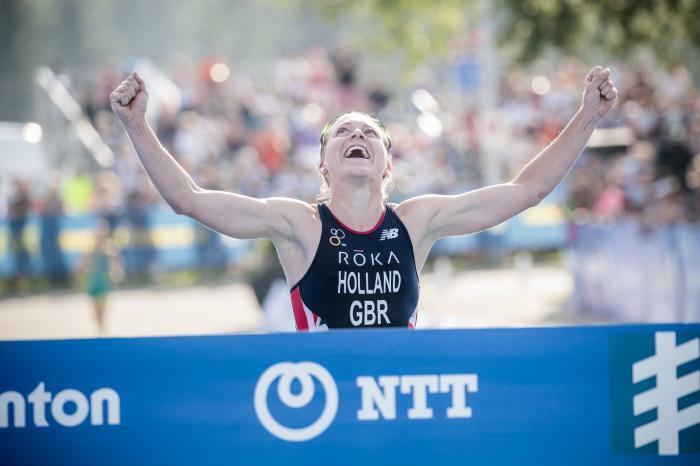 After finishing London 2012 in 26th place, Holland delivered an Olympic bronze at Rio 2016. 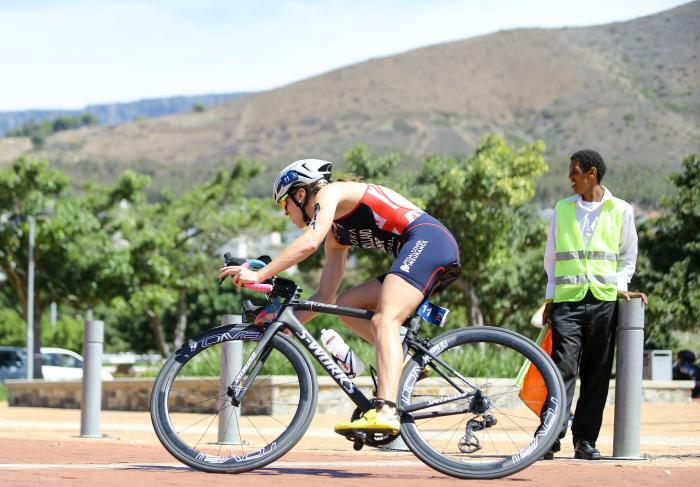 The 2018 season began with World Cup gold in Cape Town, a clear indication that she was back in form after a long injury lay-off and ready to compete at the highest level once more. 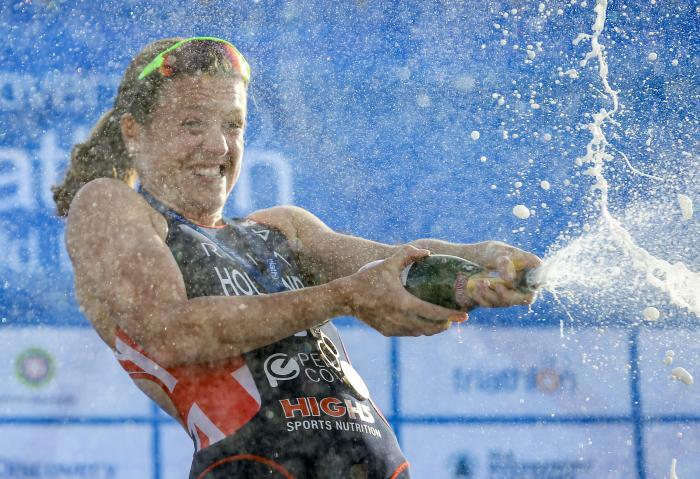 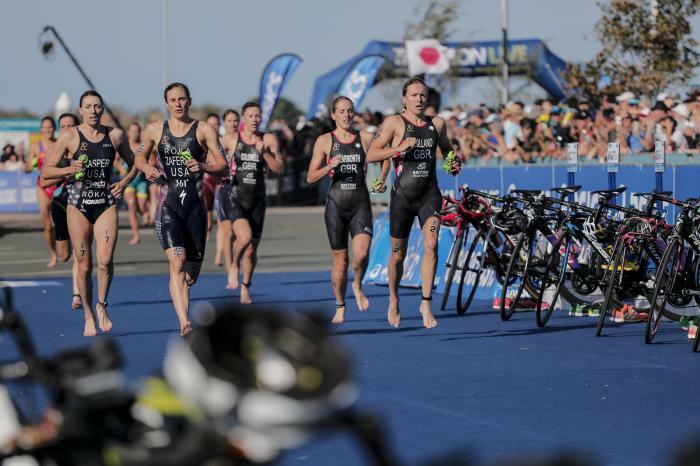 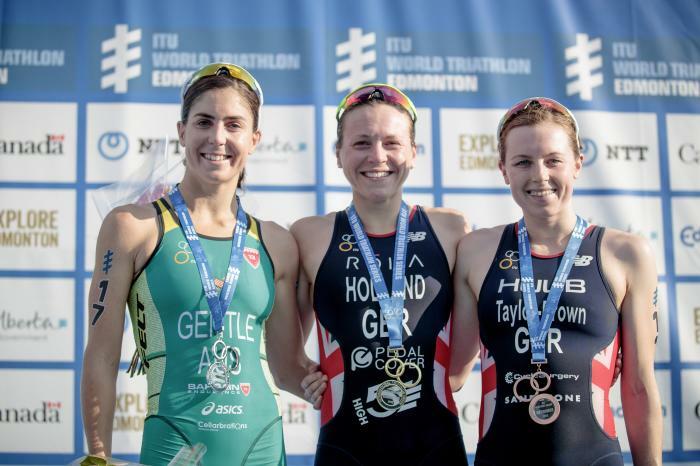 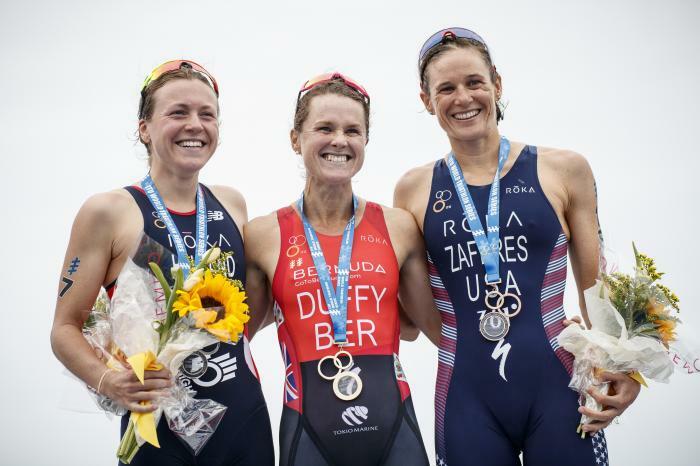 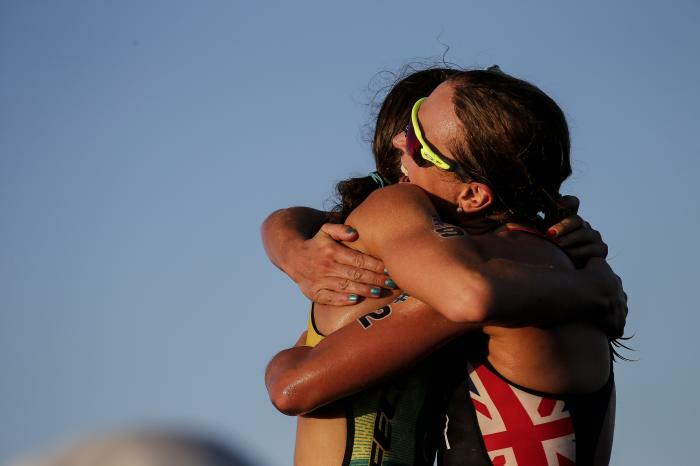 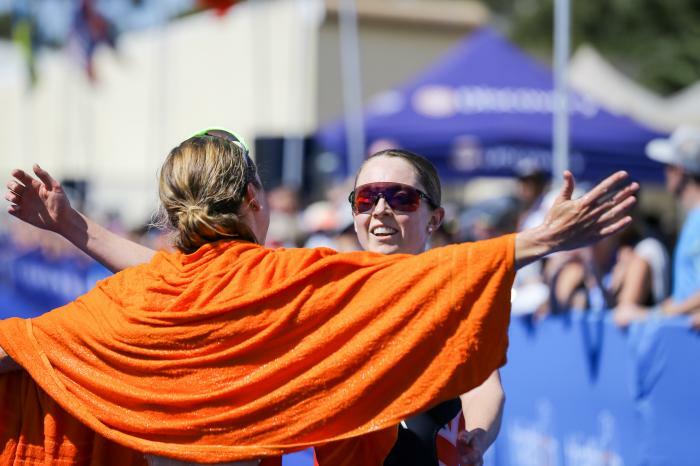 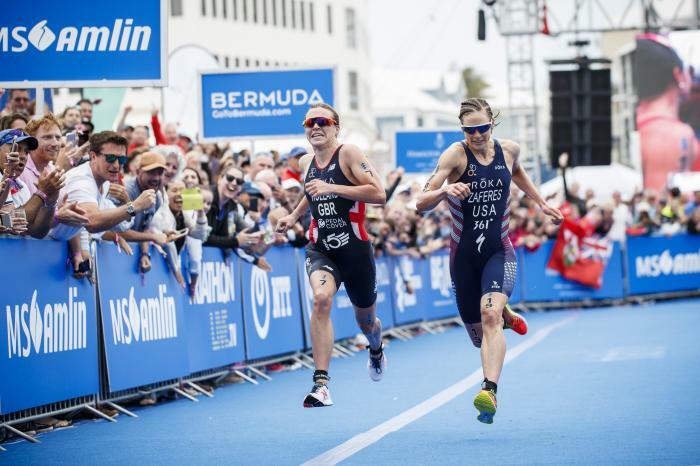 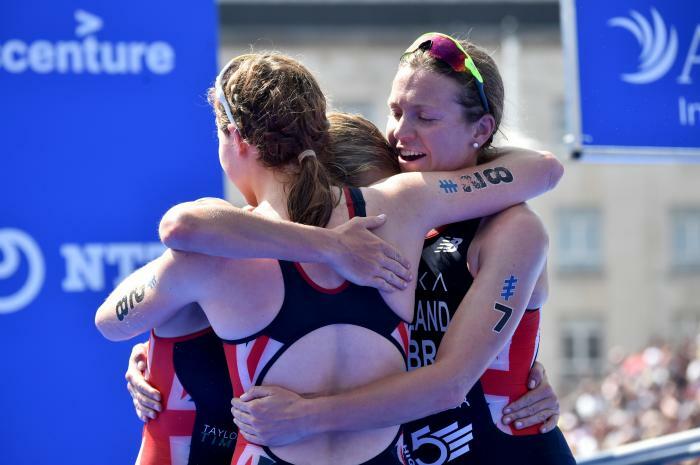 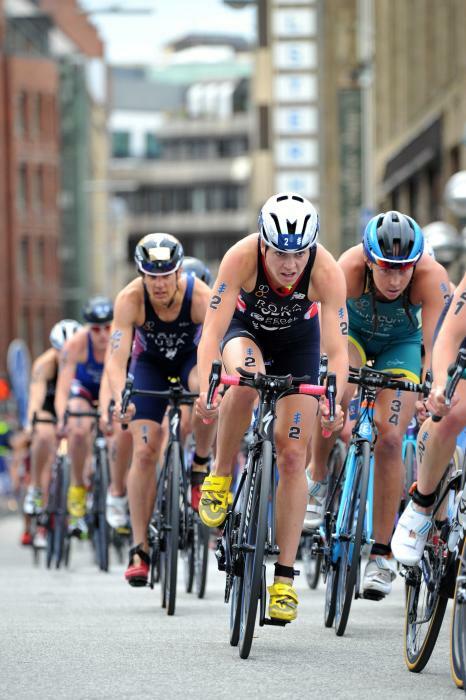 Second place in WTS Bermuda and gold in Leeds got the season in full swing, and after two more victories in WTS Edmonton and WTS Montreal, a hard-fought second place in the Gold Coast Grand Final secured Vicky a debut World title.